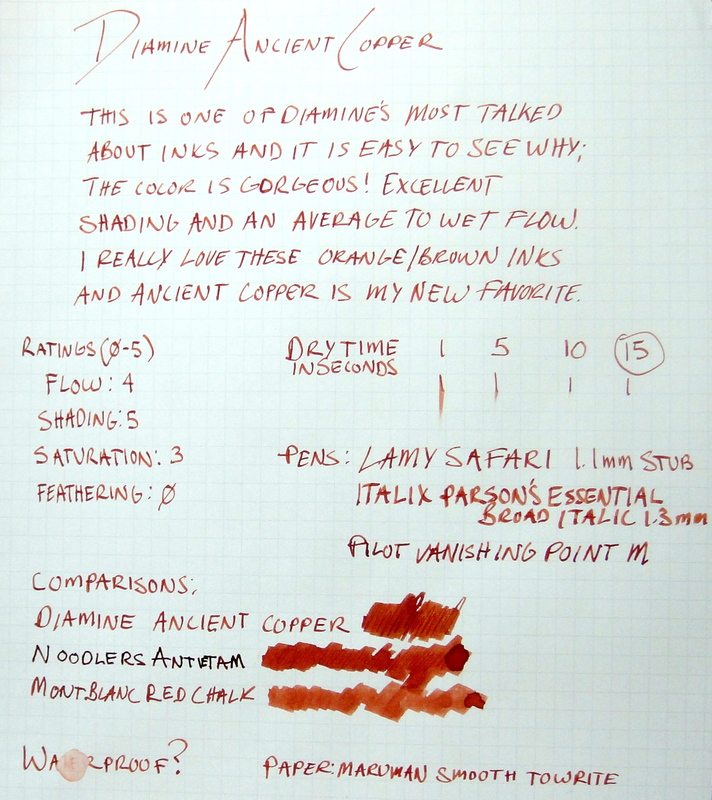 When I heard that Richard Binder was winding down his retail business I knew it was finally time to give one of his “ItaliFine” nibs a go. 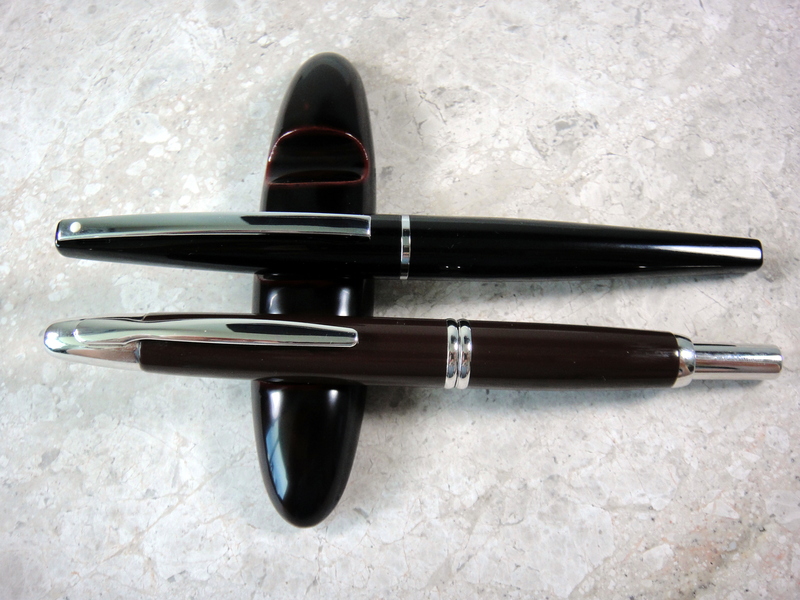 For those of you who do not know, an ItaliFine nib is a combination nib that offers an italic point on one side and a fine point on the other. 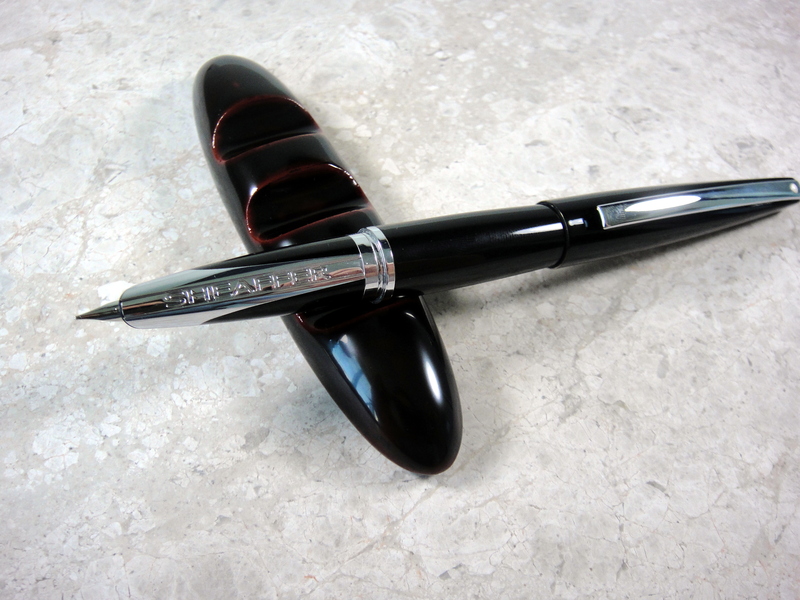 As you can see from the pictures this nib started life as a standard 18kt gold broad nib which Mr. Binder customized into an ItaliFine. 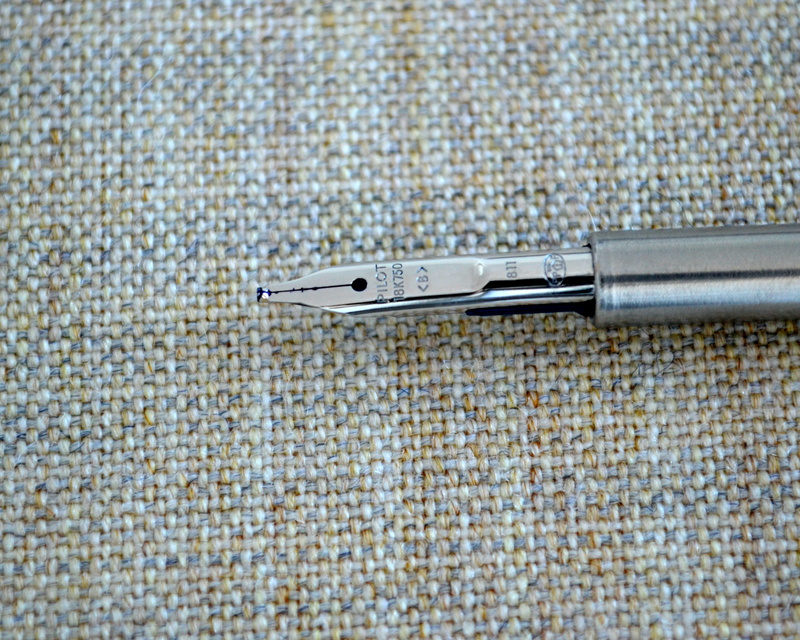 With the nib right side up the nib writes with an italic point. 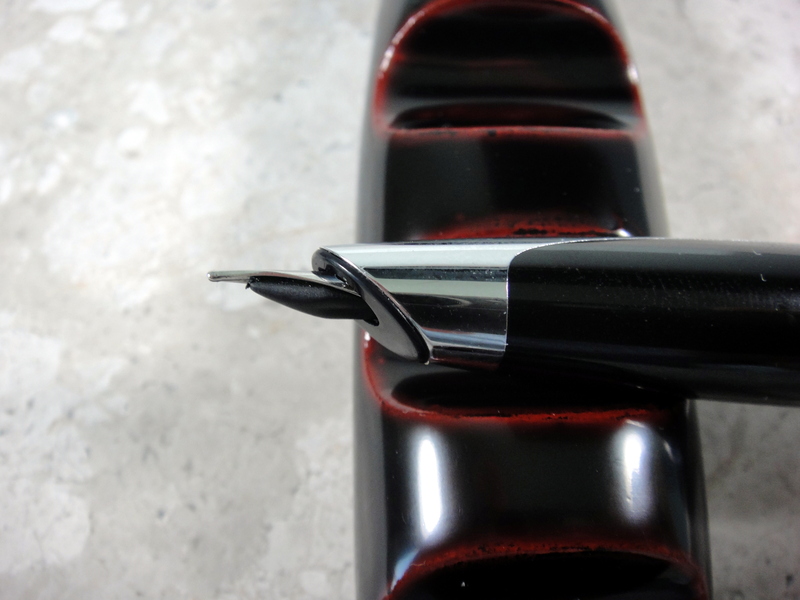 This nib is a true 0.9mm italic and as such is quite sharp and offers a good deal of line variation. With the nib upside down the nib writes with a fine point. I have found the fine side to be a bit more tricky than the italic. The fine side does not like pressure and will skip with anything but the lightest pressure. 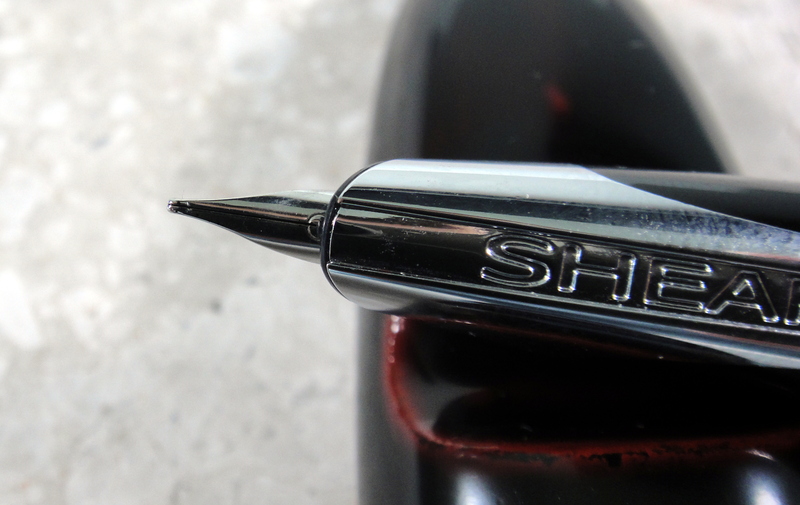 Also the fine side of this nib is position sensitive as its opposite side is fatter and straight cut. 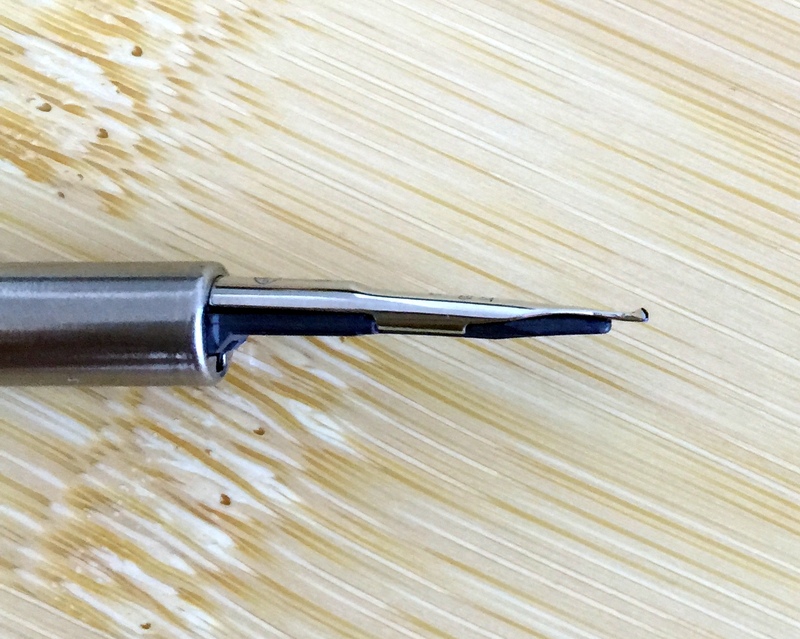 For me there was a short learning curve with this nib and now that I have it down, it is a wonderful nib that has transformed my Pilot Vanishing Point into a pen that is now a joy to use. 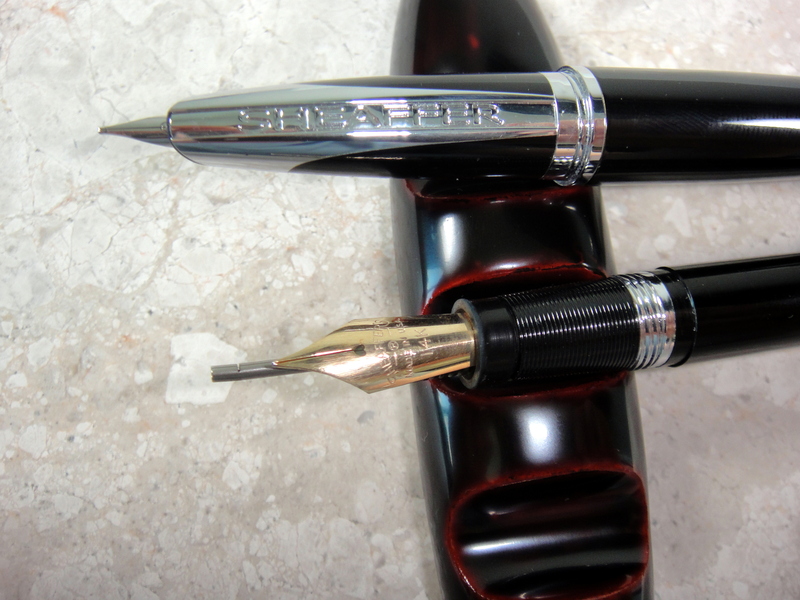 The cost of this nib while still available is $125 and that is expensive for a VP nib but it really works as two nibs that you can use in the same pen on the fly…it’s worth it. Side Note: Some of you may have noticed that I have been gone for a little while. I have been in the process of moving and I am still working on getting my office (The Unroyal Warrant HQ) set up but as of today I am mostly operational, a new computer and some new furniture is on its way but I will be able to provide regular content 1-3 times a week going forward. 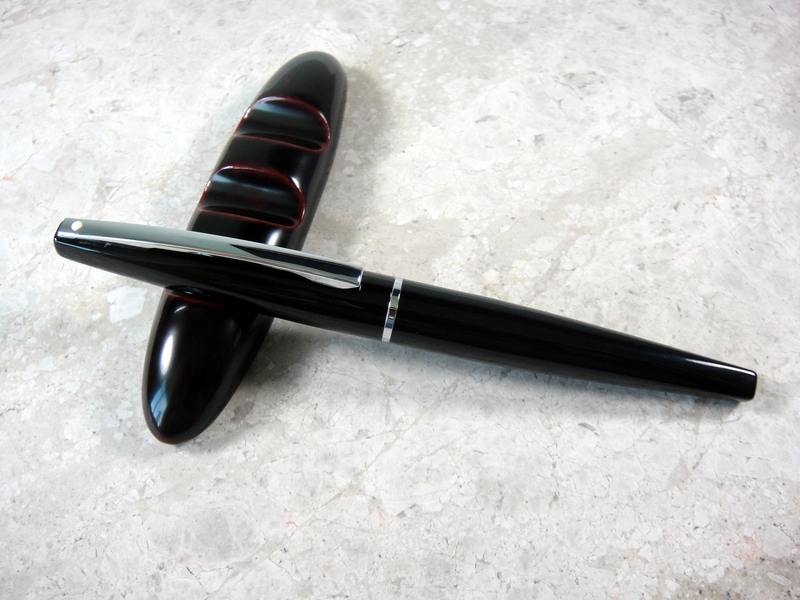 The Pilot Vanishing Point is an extremely popular fountain pen with a click mechanism that retracts the nib. 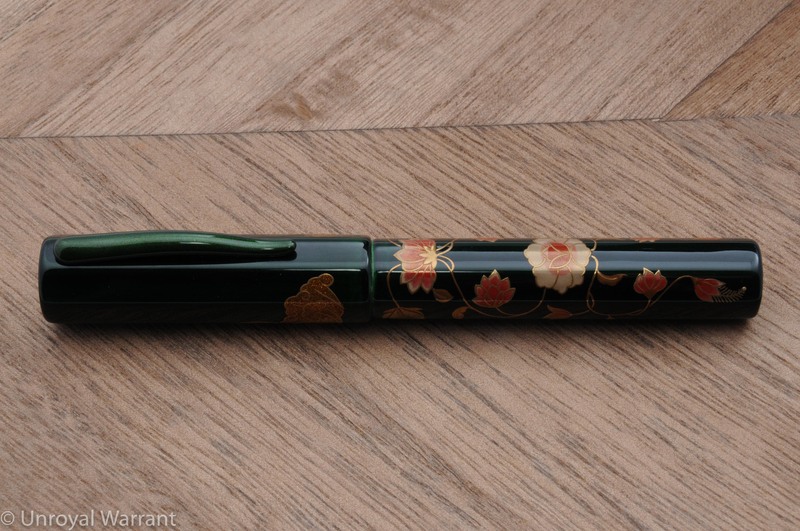 I have had mine for several years now and while it’s frequently inked it’s far from my favorite pen. To me the Vanishing Point is purely a tool; it’s reliable and can be operated with one hand for quick notes but it’s not fun to write with. 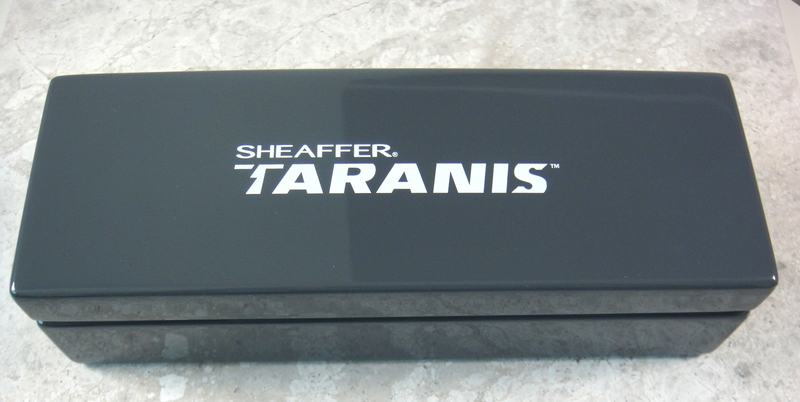 My VP has a brown lacquered brass body with rhodium accents weighing in at 30.9 grams with a full converter. 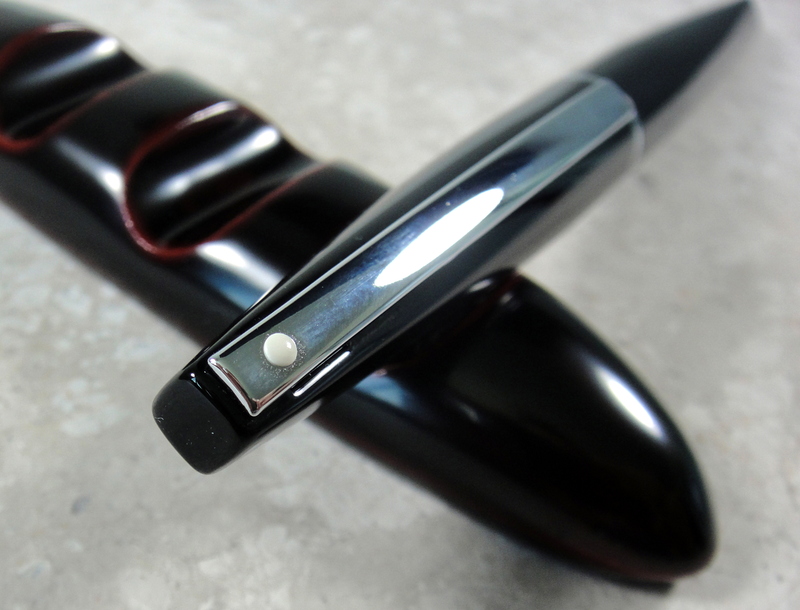 The VP measures just under 5.5″ long and is about half an inch thick at its widest point. 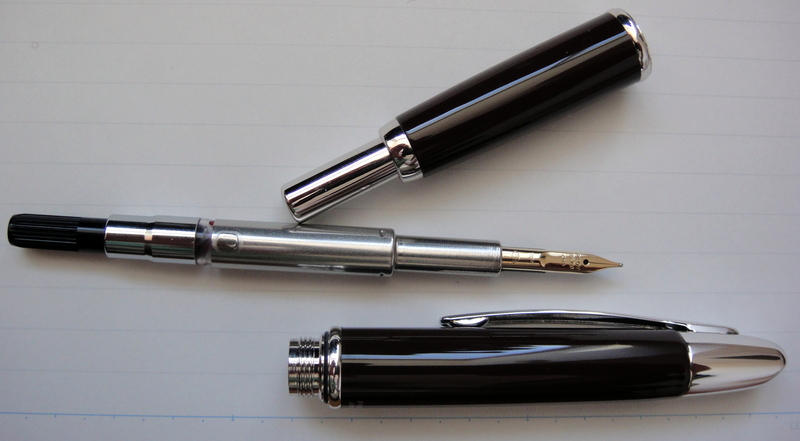 The Vanishing Point is a pretty ugly pen; it’s definitely not a show piece. The VP looks the most dignified in matte black and unfortunately for me it was released well after I purchased my brown one. 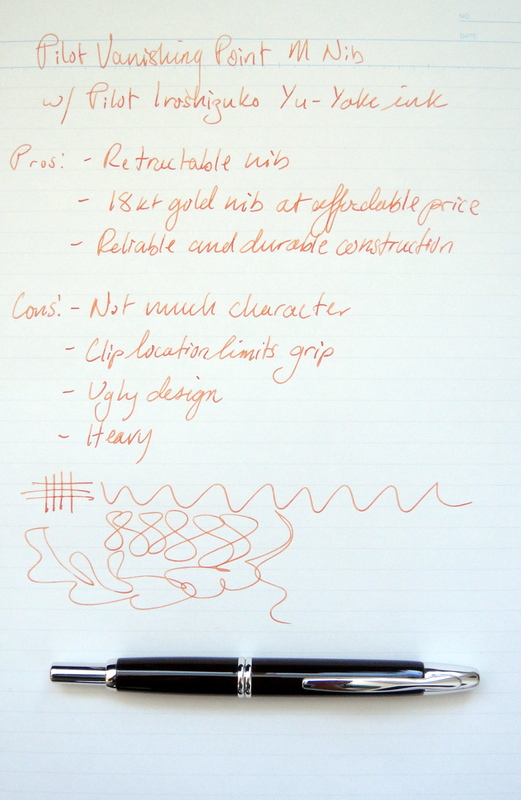 The stiff 18 carat gold medium point nib has no personality but is smooth and reliable. The medium point is a bit finer than most European mediums and the flow is pretty average. Depending on how you hold your pen the clip may be an issue because it is so close to the tip. Having a pretty standard grip it does not bother me but this pen definitely wont work for everyone. 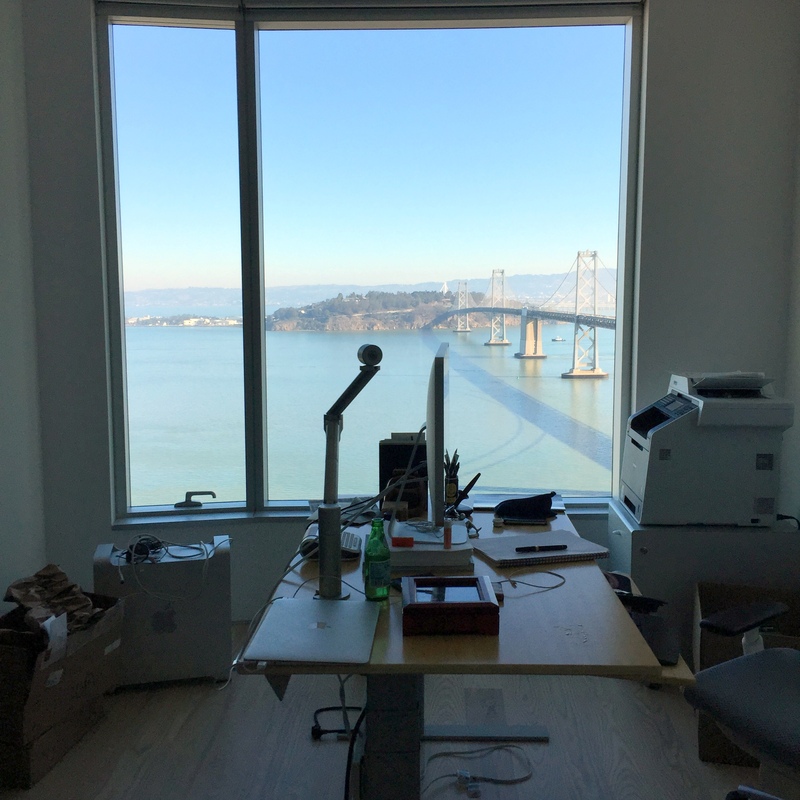 Also, I do not find the VP to be comfortable for long writing sessions as the grip area is relatively wide and the pen is quite heavy. 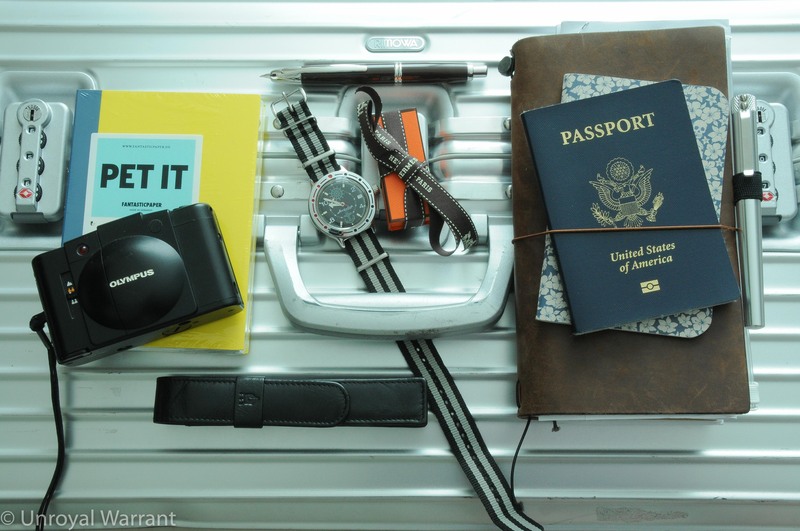 The Vanishing Point comes with a converter, a cartridge and a metal cartridge cap (that prevents the click mechanism from crushing a plastic cartridge). 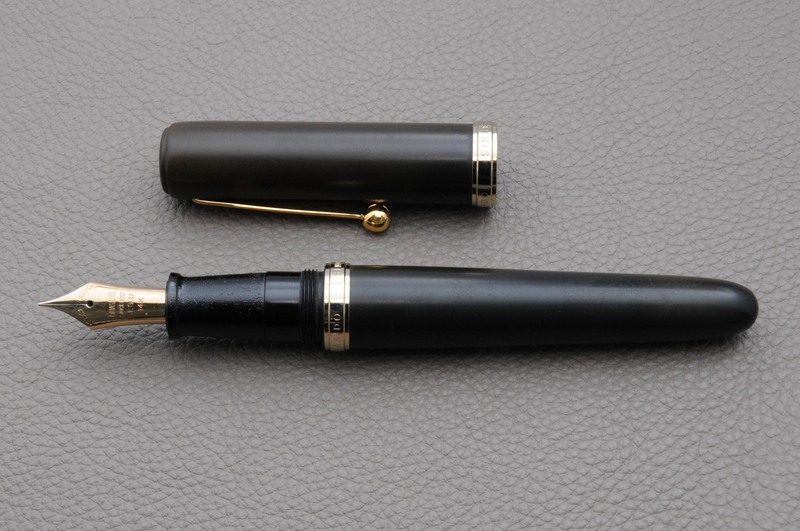 The VP offers a lot of pen for the money with an average street price $140. 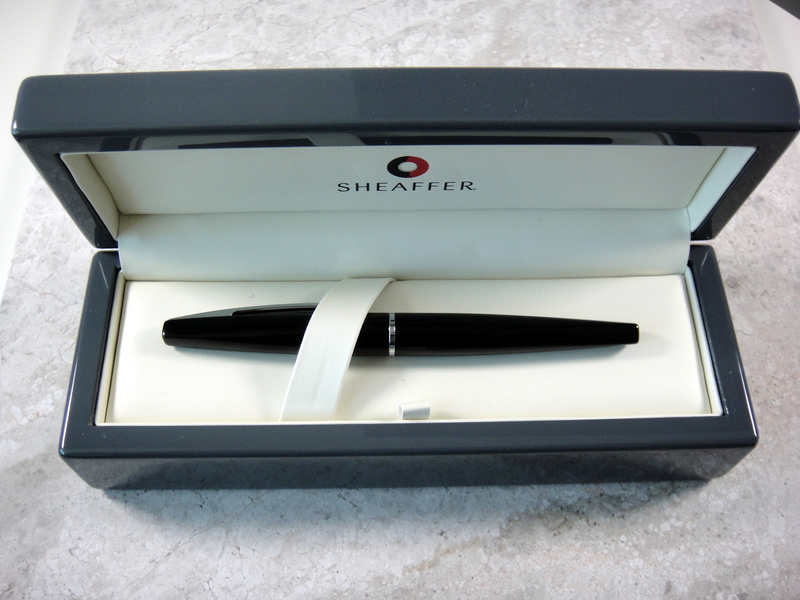 The build quality is excellent as with all Pilot products and it has held up well quite well for me. 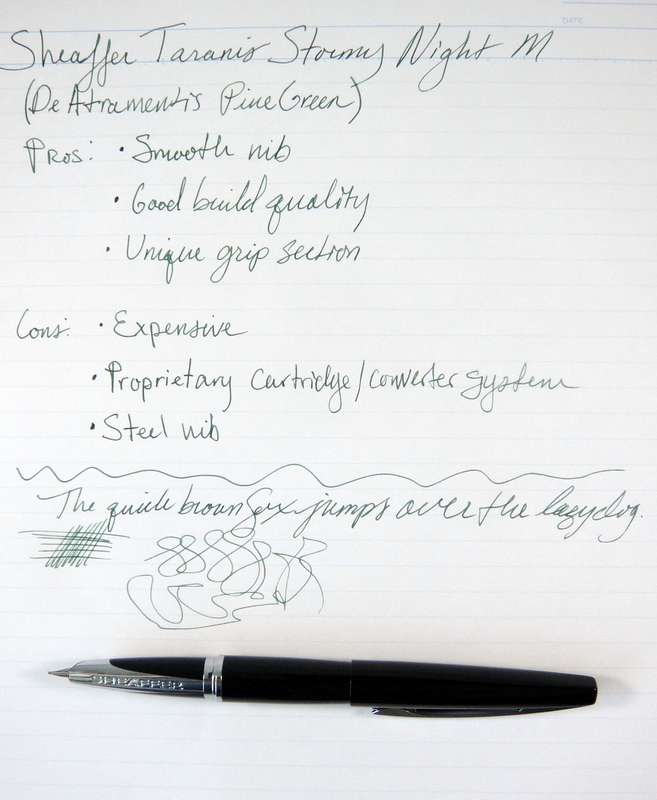 The nib has a lot of tipping material so I may have it ground down into a stub to give this great pen some character. 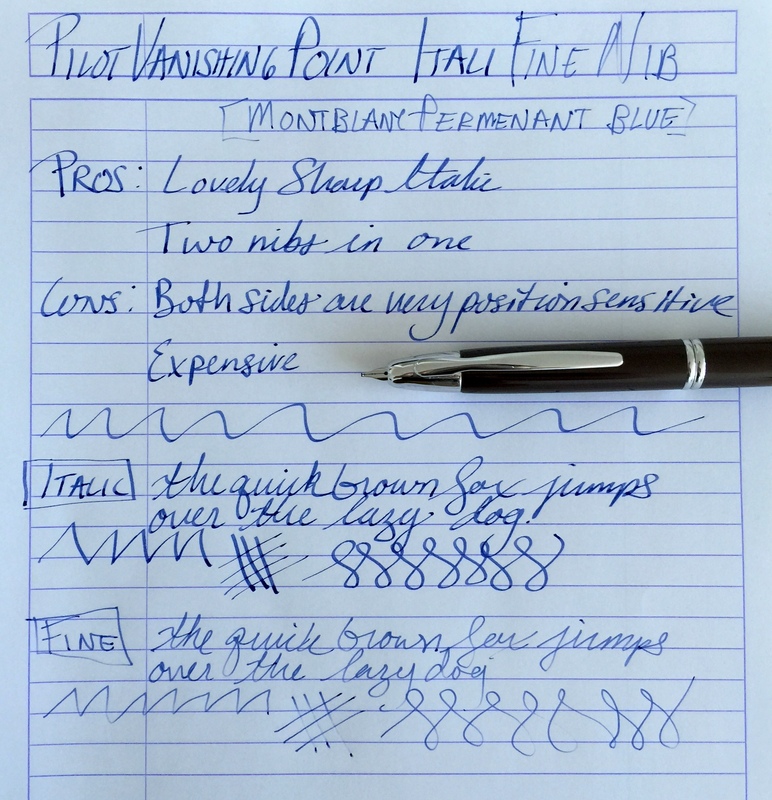 I recommend trying the Vanishing Point in person before purchasing. 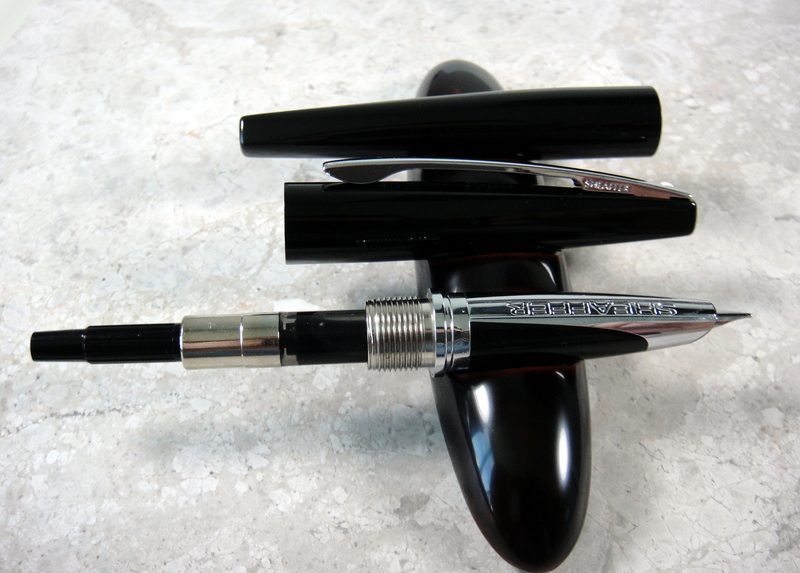 Tyler Dahl Pens – Pen review – Pilot Vanishing Point!